Credits and Adjustments will appear in the Summary Section of your bill if you have made any changes in your subscriptions or package. 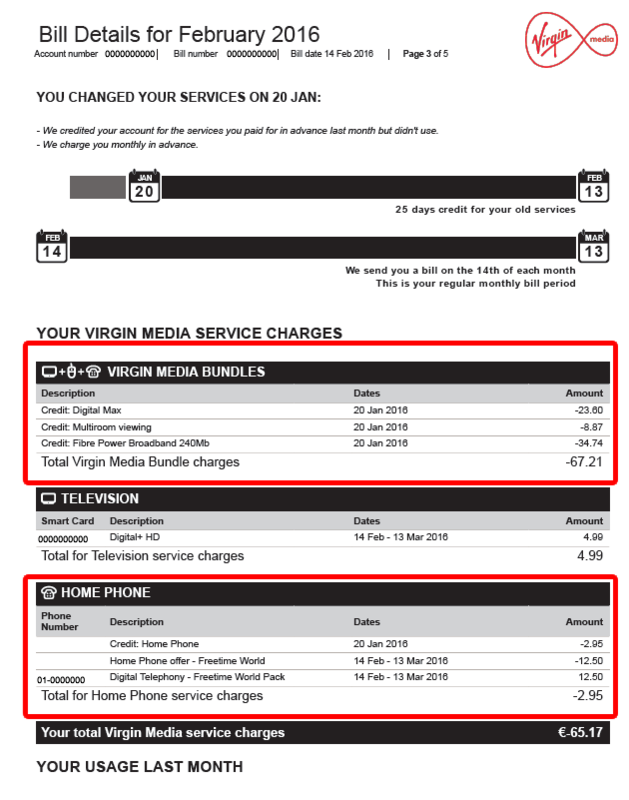 The amount you are charged for this month depends on when your services were changed, which is why we provide a timeline. 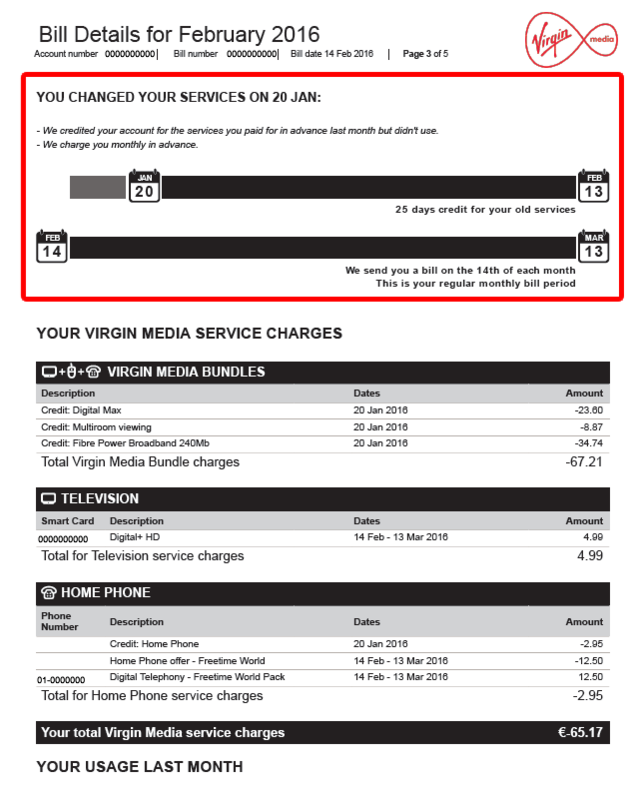 Below is how your bill will show the date you changed your service, and the days the credit will be applied for.